This model of the Cutty Sark is a elegant masterpiece, built by a very experienced skilled modeller. It is very well done in detailing hull and rigging. 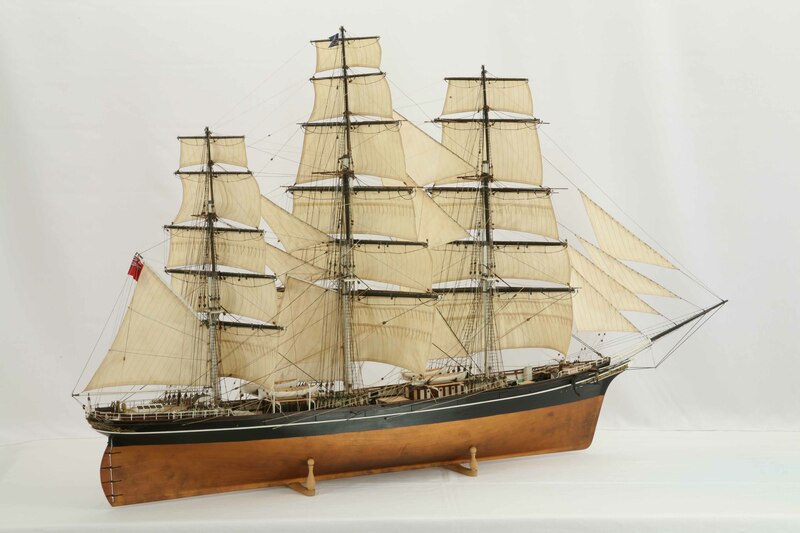 The sails of the Cutty Sark model were set like the ship being on starboard tack in quartering wind. The ship model is 1 : 67 scale. Length is 128 cm, width 28 cm, height 78 cm. A display case for the model is length 138 cm, width 39 cm, height 82 cm. There are more photos, several views of the entire ship model taken from all directions, and several closer views of hull, deck and rigging, and pictures of the purpose-built display case. Click images to enlarge!